Created in collaboration with Audrey Crane. For many years, Stanford University Cardiac Rehabilitation Program (SCRP) has conducted research on ways to change the behavior of patients who have had heart attacks. Their research is aimed at reducing the risk of a patient having another heart attack. Educating patients and their families is a key component of changing patient behavior. Working under contract with the American Heart Association, the Stanford team asked DDO to help them develop a master plan for a new education program. 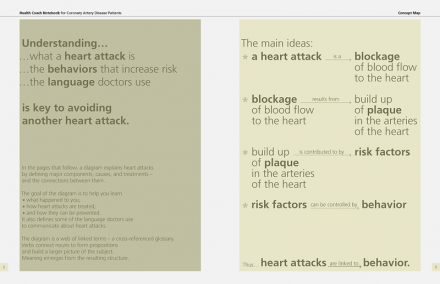 DDO developed a series of prototypes of an integrated communications program involving print, video, and online components. 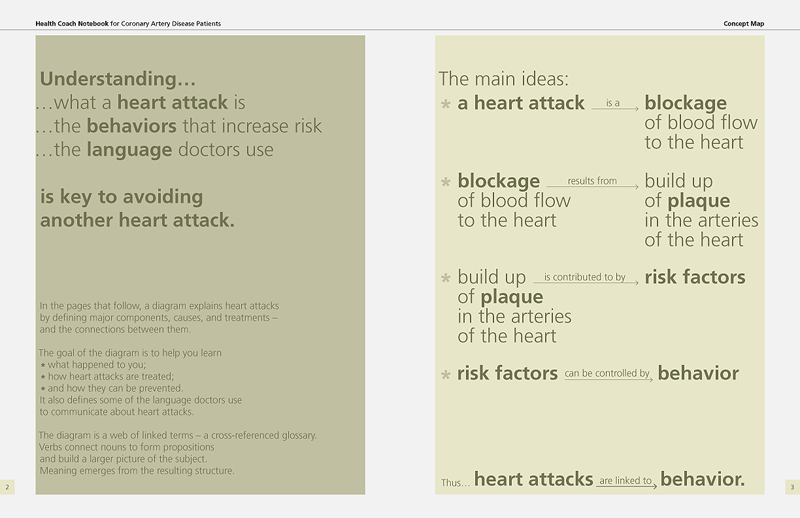 One print component, a Health Coach notebook for patients (images below), included educational material, including this concept map. 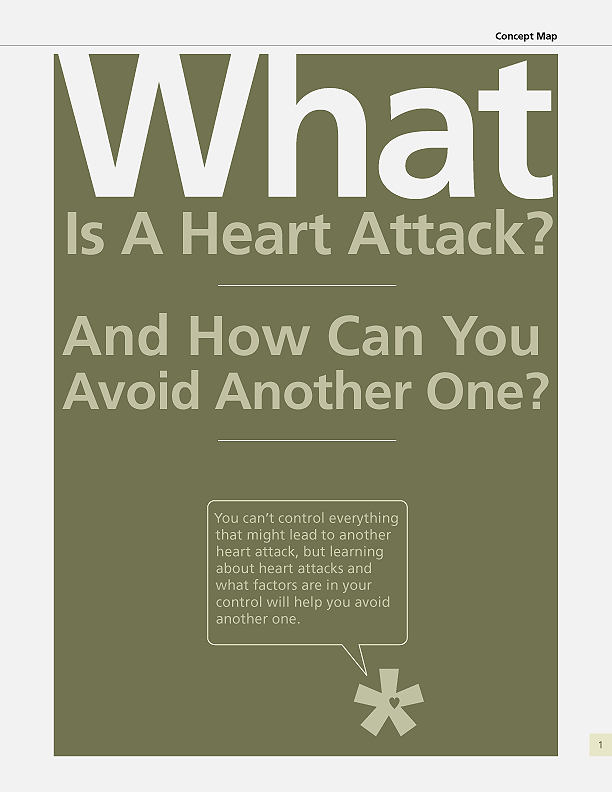 In this map, a patient can quickly see what a heart attack is, its causes and risk factors, and most importantly, behavior that can reduce the risk of a heart attack. Nicely designed. Not sure how user friendly the ‘diagram’ is. I like it, but I’m visually fairly literate. Most people think in very ‘concrete’ terms and I’m not sure how they might respond to a ‘statistical’ looking piece of advice? The idea of a heart attack just straight scares me to death. Interesting to see it can be mapped out like that.